Winemaker Ehren Jordan Leaves Turley At this year’s WOPN, I learned that Turley Wine Cellars winemaker, Ehren Jordan, had left after eighteen years to concentrate on his highly successful personal label, Failla. 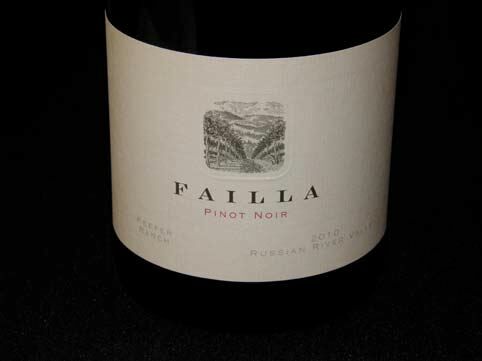 Failla was started in 1998 by Ehren and his spouse Anne-Marie Failla, specializing in cool-climate, North Coast Chardonnay, Pinot Noir and Syrah. Ehren was a featured panelist at this year’s In Pursuit of Balance and a lengthy interview with him was conducted at this event by Eric Anderson and myself for Grape Radio (look for posting soon at graperadio.com). New Oregon and California Pinot Noir Projects According to Wine Spectator (March 12, 2013), Mark Tarlov, who started Evening Land Vineyards in 2005 and left in January 2012, has launched a new Willamette Valley label, Chapter 24, which produced 4,200 cases of Pinot Noir from the 2012 harvest. The consulting winemaker will be Burgundian Louis-Michel Liger-Belair, working with winemaker Mike D. Etzel, the son of Beaux Frères winemaker Michael Etzel. Chapter 24 has also developed a marketing partnership with Patricia Green Cellars and the two wineries will have a joint project, Two Messengers, which in 2011 will consist of a barrel selection of Patricia Green Cellars Pinot Noir. Chapter 24 has a number of notable vineyard sources, including the Patricia Green Estate, Hyland Estates, Shea Vineyard, Lachini Vineyard and Nysa Vineyard. Tarlov plans to set up his own winemaking facility soon and is planning to purchase one or two vineyards in the Willamette Valley. In 2012, Evening Land sold its four Sta. Rita Hills vineyards, a total of 40 acres, to winemaker Sashi Moorman, sommelier Rajat Parr and their business partners who plant to launch their own estate label, Domaine de la Côte, this year. The site is very marginal and the resulting wines will have lower alcohols and be vinified with whole cluster and indigenous yeast. Jackson Family Wines Entering Oregon The Wine Spectator (March 13, 2013) reported that Jackson Family Wines is negotiating to buy three vineyards in the Willamette Valley as part of a plan to increase the offerings of the La Crema label. Winemaker Joe Dobbes will be the winemaker for the 2012 vintage for La Crema Willamette Valley Pinot Noir. La Crema currently produces 900,000 cases of wine annually. The vineyard acquisitions are part of CalPERS Oregon properties. This will definitely raise the profile of the Willamette Valley, although it remains to be seen if this turns out to be good or bad for Oregon’s Pinot Noir reputation. Napa and Sonoma All Stars Tasting The respected wine retailer in Los Angeles, Wally’s, is holding an All Stars tasting under the Big Top at Wally’s on Sunday, April 21 from 1-4 PM. Nearly 100 wineries will be pouring including Pinot Noir notables Belle Gloss, DuMOL, Flowers, Fort Ross, Hartford Court, Hirsch Vineyards, Merry Edwards, Patz & Hall, Paul Hobbs, Robert Sinskey, Walter Hansel, and more. All Stars event special pricing on wines will be extended to attendees. Visit www.wallywine.com for tickets. Williams Selyem Shatters Auction Record A 9-Liter bottle of Williams Selyem Westside Road Neighbors Pinot Noir won the Houston Livestock Show and Rodeo™ Reserve Grand Champion and Best of Show award. A 9-Liter bottle of the winning wine was auctioned at the Champion Wine Auction and Dinner on March 2, 2013, and sold for a record $205,000! The proceeds go to youth programs in Texas. Pruning Video This time of year there is pruning going on in many California vineyards. Check out this good video from Kerith Overstreet at Bruliam Wines, seen pruning with a crew at her Torrey Hill Estate Vineyard in the Russian River Valley. Visit www.vimeo.com/61071625. Vintage Wine Weekend at Four Seasons Resort Maui A three day wine and culinary event on May 24-26, 2013, that will feature vintners Gary Burke of Costa de Oro, Steve Clifton of Brewer-Clifton, Donald Patz of Patz & Hall, and Dan Kosta of Kosta Browne. The weekend starts with a special dinner at which guests are asked to bring a favorite magnum. The second night offers three wine-paired dinners. The third night offers an Oceanfront Gala featuring local foods and 40 exclusive wines. To reserve, contact concierge.maui@fourseasons.com or call 1-808-874-2201. Second Annual Oregon Chardonnay Symposium This event will be held May 4, 2013, at Red Ridge Farms and will feature a new wave of smaller producers who have set out to define their signature style of Willamette Valley Chardonnay. The event will begin with an educational and interactive panel discussion, featuring eight artisan producers and nationally renowned wine writers. The discussion will include a technical tasting of very limited production Chardonnays. The moderator is Katherine Cole, wine columnist for The Oregonian, and the panelists are Paul Gregutt, wine columnist for The Seattle Times and NW editor of Wine Enthusiast Magazine, and W. Blake Gray, author of the Gray Report blog. Participating wineries are Arterberry Maresh, Big Table Farm, Crowley, Division Winemaking Company, Durant Vineyards, EIEIO, Matello and Walter Scott. A walk-around tasting at Durant Vineyards Tasting Room will follow the panel discussion. Sixty tickets available ($60). Call Red Ridge Farms at 503-864-8502. Hedges Family Estate “Rules for Attending a Wine Festival” I received this in a recent email from Hedges Family Estate in Red Mountain, Washington, and it made me laugh out loud. Don’t pinch your fingers and say, “Just a little.” Dump it if you don’t want to finish it, but I’m going to pour as much as I damn well please. Don’t violently lift your glass mid-pour and say, “That’s enough.” Same deal as above. Don’t say, “Give me the biggest thing you have.” This isn’t NASCAR. Don’t say “smooth.” Give this word the day off from your vocabulary....the whole day. Don’t say you hate Merlot. We all saw ‘Sideways.’ Remember the bottle Miles drank at the end of the movie was Cheval Blanc which has plenty of Merlot in it. Don’t tell every winemaker about the winery that was down the street when you lived in Lodi. Don’t ask how the wine scored....ever. Don’t talk about your sulfite allergy. There is a good chance you have no idea what you are talking about. Don’t dump wine into the water pitcher. And, always look before you drink out of it. Don’t talk about the legs after you swirl the glass. Here is a tip: the legs have little do with wine quality. Don’t take your heels off and puke in the lobby. Don’t ask what the most expensive wine on the table is. Don’t proclaim that you don’t like white or rosé because we will make fun of you when you walk away. Don’t wear after shave or perfume. And, go light on the lipstick, honey. Don’t try to impress your date by contradicting the pourer. You are going to fail. Try me. Do keep the rim of your wine glass food-free. Do practice spitting at home. It will come in handy. Do wear a “Wine’er, Dine’er, 69’er” T-shirt. Don’t grab a bottle and help yourself. Don’t sign up for a mailing list unless you really mean it. Do say thanks for the pour(s). Do drink water, eat some food, and drink responsibly. Outstanding in the Field 2013 Tour Details The 2013 North American schedule for farm dinners is now posted on the website at www.outstandinginthefield.com. Tickets go on sale March 20, the first day of spring. This year there are dinners at Scribe Winery in Sonoma Carneros and Robert Sinskey Vineyards in Napa as well as Pinot Noir grower Devil’s Gulch Ranch in Marin County. Gallo Releases 5.5% White Wine There has been interest in low-alcohol wines in the UK and Europe and that popularity has begun to spread to the US. Gallo has released a “Summer White” with 5.5% alcohol which is a blend of Chenin Blanc, Colombard, Moscato and Riesling. According to The Drinks Business, this wine is a sister wine to Gallo Summer Red which launched in the UK in 2011. The type of dealcoholization process used was not specified. Reportedly, the wine tastes of “ripe apple, pear and citrus with subtle floral notes.” Gallo also offers a 9% Barefoot Pink Moscato. Conservation Fund Buys Preservation Ranch in Northwestern Sonoma County The Press Democrat (February 26, 2013) reported that a conservation group has bought 20,000 acres of timberland near Annapolis that was scheduled for 1,769 acres of commercial vineyard development by CalPERS, the California workers pension fund. The Cal PERS project had been hotly contested by environmentalists. Helicopter Rides Over Vineyards an Exhilarating Experience in Sonoma County Wines & Vines (February 20, 2013) reported that helicopters have been used for some time for surveying vineyards. I have noticed an increasing number of aerial shots of vineyards on winery websites. Helicopters can also be used for frost control, mildew control and the application of pesticides and cover crop seeds. Unmanned drone mini-helicopters may be employed in the future. Besides these commercial applications, helicopters are being used for wine tourists to view the topography of Sonoma County. Sonoma Helicopters at Charles M. Schultz Airport in Santa Rosa offers a package of wine tasting and a helicopter tour above the Dry Creek, Alexander and Russian River Valleys. Clos Du Bois and Mazzocco Sonoma have offered deals with Sonoma Helicopters. The most popular charter is a 1-hour flight for three people over the Russian River out to the Jenner coast ($600). Visit www.sonomahelicopter.com. Summer Alaska Wine Cruise Handley Cellars and Greenwood Ridge Vineyards will be pouring aboard a Celebrity ship on this cruise. Seven nights from August 16-23, 2013. Set sail from Seattle for visits to the ports of Ketchikan, Tracy Arm Fjord, Juneau, Inside Passage, Skagway and Victoria. 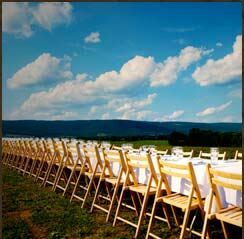 Wine tasting seminars, wine pairing luncheon, Champagne galley tour. Special offer if you book between March 15 - April 15. For information contact Marie Lewis at 800-301-9673 ext 543. Sponsored by Touring & Tasting, The Premier Guide to Wine Country. Pinot Noir 2013 Video Wine journalist Jamie Goode posted a video on his website (www.wineanorak.com) about the Pinot Noir 2013 conference recently held in Wellington, New Zealand. 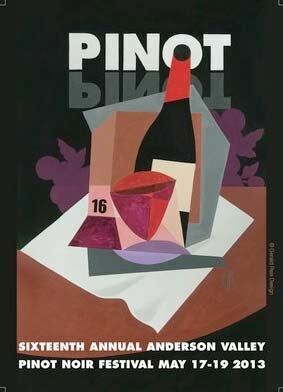 Go to www.wineanorak.com/wineblog/videos/pinot-noir-2013-video-and-some-thoughts-in-retrospect. 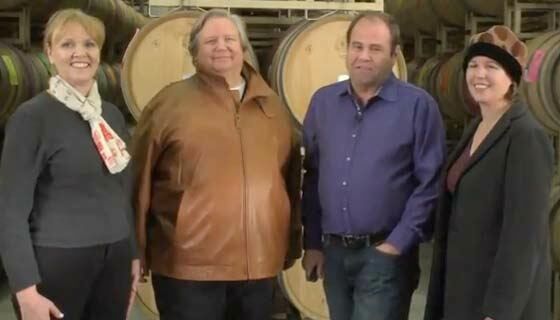 Patz & Hall 25th Anniversary Video Who says wine is too serious? A video on wine that won’t put you to sleep! Cameos from people like Gary Pisoni. Best six minutes you can spend. Visit http://youtu.be/FAPDG2JYQzA. German Pinot Noir Receiving Recognition There have been a number of articles in the press recently on German Pinot Noir. German wine expert Stuart Pigott says, “A new generation of winemakers and wine drinkers take serious indigenous Pinot Noir wines for granted. But the world is still catching up on this development....these wines often hold their own in aroma, concentration and harmony.” One of the problems is that really good German Pinot Noir rarely leaves the country so there is low visibility in international markets. At a recent spring auction of the “Hessische Staatsweingüter Kloster Eberbach,” a 1953 Assmannshäuser Höllenberg Spätburgunder fetched $3,300. The Kloster Eberbach domain has a library of Spätburgunder dating back to 1882. The price for this wine reflects the admiration for German Spätburgunder. Oregon Passes Wine Growler Bill House Bill 2443, which was discussed in the last issue, allows wine to be sold in large, customer-supplied containers. It was passed in March by the House and will likely pass the Oregon Senate as well. Wine and cider would be available in 2 gallon jugs that can be washed and reused and will assist wineries who want to sell their wine in kegs. Emeritus Hosts End of Frost Party Emeritus Vineyards is a small, estate vineyard and winery producing Russian River Valley Pinot Noir. Emeritus farms over 180 acres of Pinot Noir across three vineyards. The party will be held at Emeritus’ home, Hallberg Ranch on Highway 128. For the first time, Emeritus is opening up their Annual End of Frost Party to everyone. President Brice Cutrer Jones will lead the festivities including vineyard tours with Vineyard Manager Kirk Locca, barrel tastings with winemaker Nicolas Cantacuzene, along with new releases, live music and food. Tickets are $40 per person and available from the Emeritus Vineyards website at www.emeritusvineyards.com/events or at the door. 16th Annual Anderson Valley Pinot Noir FestivalGet your tickets now because this event sells out every year by April 1. The dates are May 19-20, 2013. Technical conference Friday, BBQ Friday night at Scharffenberger Cellars, Grand Tasting from more than 40 producers on Saturday, winemaker dinners at Apple Farm, Little River Inn, Roederer Estate, and Aquarelle Saturday night. Visit www.avwines.com for details and tickets.